Apply for Financing Buy VS Lease Mazda Offers Poor Credit? When you buy from Continental, you get Alaskans that understand the interaction of local roads, and local weather with the tires we sell. You'll also get competitive pricing and Free Installation. Free Tire Rotations for the life of the tire. Road Hazard Warranty. Weekday Shuttle Service Within Anchorage and JBER. 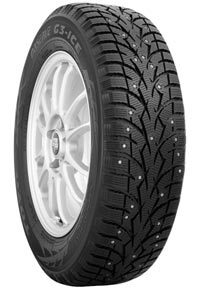 The Observe GSi-5 provides excellent performance for demanding winter road conditions. When the conditions turn to snow and ice, the Observe Garit KX is a superior winter performance tire for your car. Designed for tough winter conditions, the Observe G3-Ice combines excellent performance with driving comfort. 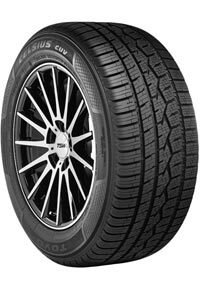 Buy a set of four eligible Toyo or Falken tires and try them on your vehicle for up to 500 miles or 45-days from the original purchase date, whichever comes first. If you're not completely satisfied with the performance, just return the tires, with your original sales receipt and a reason you are not satisfied. readers of the Anchorage Daily News. Ever wish you had a true all-season, all-weather, variable condition tire you could keep on your vehicle all year? 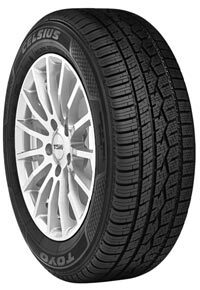 Celsius is the revolutionary variable-conditions tire with better ice and snow traction than a typical all-season tire, and longer tread life than a winter tire. 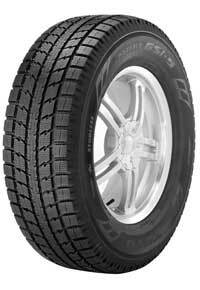 The perfect year-round tire for your sport utility vehicle or light-duty truck. Enjoy better all-season use with superior winter, wet, and dry weather traction with a long tread life. Dedicated to the safety of our customers, our training and products are focused on meeting the demands of driving on Alaskan roads. There are many choices of tires and price points to fit a variety of needs and budgets. Our knowledgeable staff can help buyers navigate the options and provide clear choices. Continental Mazda is proud to offer direct sales for Toyo and Hankook tires but, through our dealer program, we have competitive pricing for most major manufacturers on the market today. Allow our buying size, selection and pricing to work for you. *Installation is: mount, balance, and TPMS reset. Tire tax or disposal fees are extra. Buy a set of four eligible Toyo Tires passenger or light truck tires* from a participating Toyo Tires dealer and try them on your vehicle for up to 500 miles or 45 days from the original purchase, whichever comes first. If you’re not completely satisfied with the performance, just return the tires, with your original sales receipt and the specific reason you are not satisfied, to the dealer where purchased. 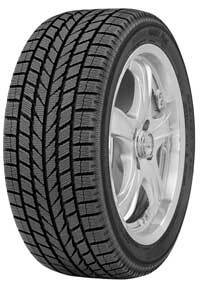 The dealer will replace the tires or refund the purchase price, including charges for mounting and balancing. Offer excludes original equipment tires, winter tires, competition tires, commercial tires, Proxes R1R, M-55 and Open Country M/T. A set is four tires. The four tires must be purchased on the same day, mounted on the vehicle indicated on the invoice, and must be returned to the participating dealer where they were purchased within 500 miles or 45 days, whichever comes first. This offer is available only to the original purchaser and is nontransferable. Other service charges or applicable taxes are not included. Online purchases are not eligible. Commercial, racing, or off–road use, improper load or misapplication, or damage by road hazards or other abuse, is excluded.